Alvin is back to face his fears in this funny and touching third book in the Alvin Ho series. When an invitation to a birthday party arrives in the mail, Alvin's sure it's the one he's been waiting for. But, no -- this one's pink and smells nice . . . and it's from a girl. His mother says he has to go, but Alvin has a few tricks up his sleeve that just might save him from the party. 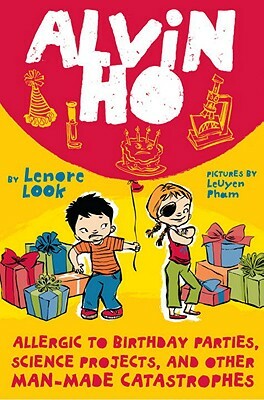 Lenore Look's hilarious chapter book about an Asian-American second grader, with illustrations by New York Times bestselling illustrator LeUyen Pham, is just right for beginning and reluctant readers.